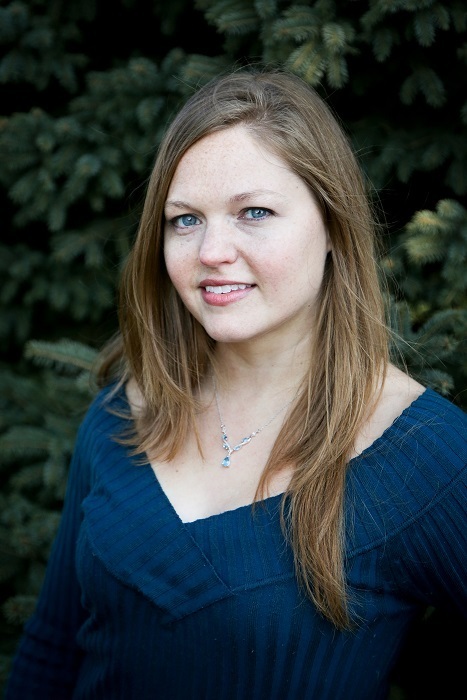 The blog tour for Amber Eyes by S.D. Grim is in full swing and, today, we get to be a part of it! More about the book and the author are included below, along with the details about an exciting giveaway for a signed copy of Amber Eyes! Don't miss it! Amber Eyes is the second book in the Children of the Blood Moon series. In this medieval saga, seventeen-year-old Jayden is revealed as a Deliverer after her family is murdered. Unsure of herself, she rejects her destiny. However, fighting against both her destiny and her enemies puts those she cares for at risk. Only by embracing her abilities and her role as a Deliverer, can Jayden become the protector needed to save the world from darkness and her people from extinction. 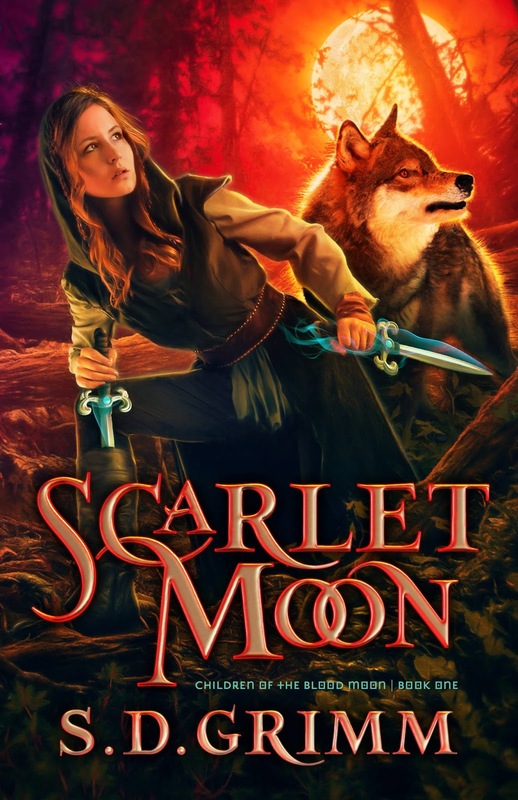 Action-packed and well-crafted like the first book, Amber Eyes delivers on the romantic conflict we see brewing in Scarlet Moon. With plot twists and new insights into the characters' psyches and bonded abilities, book two finishes strong, leaving the reader wanting more and setting the stage for an epic ending to the trilogy. Where are the Wielder and the remaining Deliverer? What is the power Conner fights to contain? And on which side of the battle will Ryan land? I enjoyed reading both books and look forward to the final installment releasing next year. 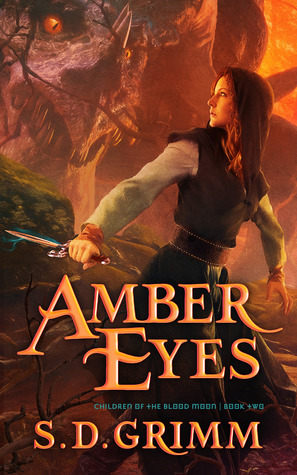 Amber Eyes is available for purchase from Amazon and Barnes & Noble. Visit Unicorn Quester to view the full blog tour schedule. Amber Eyes is the second book in S.D. Grimm's Children of the Blood Moon series. 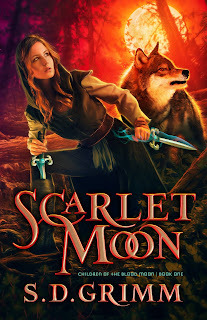 Scarlet Moon is the first book in the series and is available for purchase from Amazon and Barnes & Noble. Destiny can pick someone else. Evil is slipping through the cracks of its prison, and all Soleden trembles in its wake. Yet some would harness that evil to their own ends, and first among them is Idla, the sorceress queen bent on distorting the world. Only one can stand in her way: Jayden. Upon realizing her mark as the prophesied Deliverer, Jayden conceals herself from her enemies and her Feravolk countrymen. But after the harm the Feravolk caused to her family, she's loath to rescue the not-so-innocent. Hiding her mark was never easy, but now that Jayden knows both Queen Idla and the Feravolk are after her, hiding her gift of the Blood Moon will be impossible. 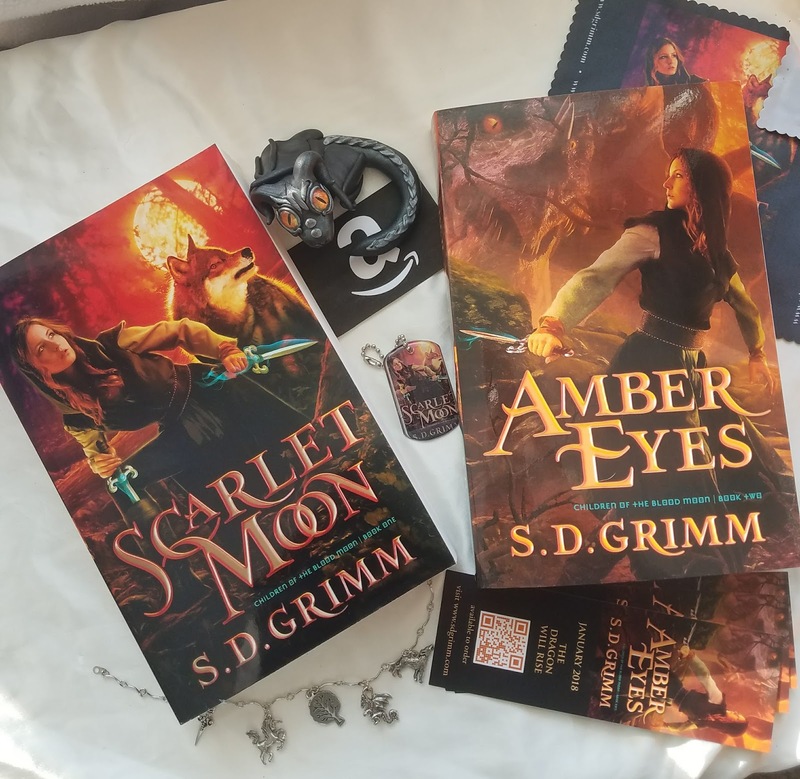 S. D. Grimm’s first love in writing is young adult fantasy and science fiction, which is to be expected from someone who looks up to heroes like Captain America and Wonder Woman, has been sorted into Gryffindor, identifies as rebel scum, and loves elevensies as much as afternoon tea. Her patronus is a red Voltron lion, her spirit animal is Toothless, and she totally has a superpower. She is represented by Julie Gwinn of the Seymour Agency, her office is anywhere she can curl up with her laptop and at least one large-sized dog, and you can learn more about her upcoming novels at www.sdgrimm.com. You can also connect with S.D. Grimm on Facebook, Twitter, Instagram, Spotify, Pinterest, or Goodreads. DON'T MISS OUT ON THE GIVEAWAY!!! Enter the here for a chance to win. Ends February 4th at 12 am CST. Welcome to Lands Uncharted, KaLyn! Both books sound interesting. Thanks for the review. Thanks, Elizabeth! It’s a blessing to join all of you at Lands Uncharted. Thanks, Laura! You did an amazing job planning and organizing the tour and the Facebook party. Can’t wait for book 3! Yay for your first post, KaLyn!! Great review! I have Scarlet Moon, it sounds like I really need to pick up Amber Eyes! It’s the beginning of a new adventure! Thanks, Laurie!